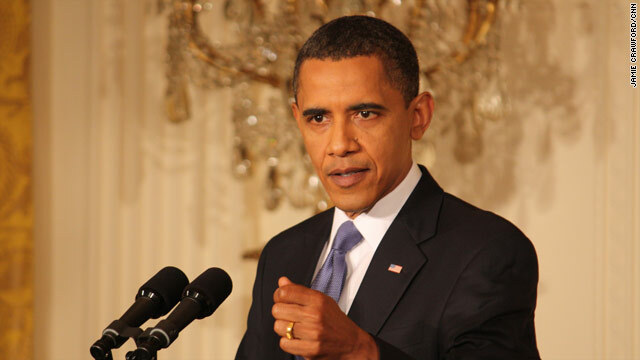 (CNN) – President Obama announced Thursday he is appointing an ambassador to Burma and easing bans on U.S. investments. The decision comes in the wake of the president’s move last November to provide a U.S. opening in Burma for the first time in decades. In a statement released by the White House, Obama said he was heartened by progress in the country since then. “Pesident Thein Sein, Aung San Suu Kyi and the people of Burma have made significant progress along the path to democracy. The United States has pledged to respond to positive developments in Burma and to clearly demonstrate America's commitment to the future of an extraordinary country, a courageous people, and universal values. That is what we are doing,” Obama said in the statement. Today marks the beginning of a new chapter in the relationship between the United States and Burma. Since I announced a new U.S. opening to Burma in November, President Thein Sein, Aung San Suu Kyi and the people of Burma have made significant progress along the path to democracy. The United States has pledged to respond to positive developments in Burma and to clearly demonstrate America's commitment to the future of an extraordinary country, a courageous people, and universal values. That is what we are doing. Today, I am nominating our first U.S. Ambassador to Burma in 22 years, Derek Mitchell, whose work has been instrumental in bringing about this new phase in our bilateral relationship. We also are announcing that the United States will ease its bans on the exportation of financial services and new investment in Burma. Opening up greater economic engagement between our two countries is critical to supporting reformers in government and civil society, facilitating broad-based economic development, and bringing Burma out of isolation and into the international community. Of course, there is far more to be done. The United States remains concerned about Burma’s closed political system, its treatment of minorities and detention of political prisoners, and its relationship with North Korea. We will work to establish a framework for responsible investment from the United States that encourages transparency and oversight, and helps ensure that those who abuse human rights, engage in corruption, interfere with the peace process, or obstruct the reform process do not benefit from increased engagement with the United States. We will also continue to press for those who commit serious violations of human rights to be held accountable. We are also maintaining our current authorities to help ensure further reform and to retain the ability to reinstate selected sanctions if there is backsliding. Americans for decades have stood with the Burmese people in their struggle to realize the full promise of their extraordinary country. In recent months, we have been inspired by the economic and political reforms that have taken place, Secretary Clinton’s historic trip to Naypyidaw and Rangoon, the parliamentary elections, and the sight of Aung San Suu Kyi being sworn into office after years of struggle. As an iron fist has unclenched in Burma, we have extended our hand, and are entering a new phase in our engagement on behalf of a more democratic and prosperous future for the Burmese people. Maybe Burma has finally come full circle since WWII. Time will tell. You realize "FOWARD" is a socialist rallying cry, right? You probably don't! DOES THAT MEAN A-S-S BACKWARD IS A CAPITALIST RALLYING CRY? Did you bother to look it up? It appears your a little early for comedy hour! Sorry! I DON'T BOTHER TO LOOK UP INCONSEQUENTIAL NONSENSE. WHY DO YOU KEEP BRINGING IT UP? Don't like what I post? Don't read it and don't respond to it! Real simple!! yes clinton is into this up to her smelly arm pits... you know the woman with all that Rose Law firm fraud and etc... no good comes from people like her. JERRY WOULD KNOW WHAT CLINTON'S ARMPITS SMELL LIKE? I'M NOT SURE IF THAT"S SOMETHING YOU WOULD ANNOUNCE ON CNN. HAHAHAHAHAA!!! WHAT EXACTLY IS YOUR POINT STEVEO? DO YOU EVEN HAVE A POINT WHENEVER YOU SPEW THIS NONSENSE? DID OBAMA SLAP YOUR MOMMA? You're 2/3s of the way there! Did Obama slap my Momma? Now that is just plain silly! SO SOMEONE ELSE SLAPPED YOUR MOMMA? SO WHY SO B-U-T-THURT OVER OBAMA? Dem: BLAH BLAH BLAH OBAMA IS GREAT BLAH BLAH BLAH”…. Republican: ”I respectfully disagree with your point of view, here’s mine, thank you”….. IF THAT'S ALL YOU SEE AND HEAR, MUST BE BECAUSE YOUR HEAD IS RECTALLY IMPLANTED. HAHAHAHAHAA!!! hahahahha... you are really just funny. ok...now how much American dollars are going into this sink hole of a country that is rife with human rights violations and human trafficking and etc..
ONCE AGAIN, ALL I SEE IS RESENTMENT FOR OBAMA BUT IF SOME REPUBLITARD PRESIDENT DID IT, IT'S OK. NICE GOING REPUBLITARDS!! Its nice to see Burma opening up and beginning to free their political prisoners. As long as they keep moving forward on human rights and democracy we should keep moving forward in opening relations with them. It be great if in 10-20 years Burma was turned around and their military junta was dissolved into a full fledged Republic.